One of the latest news about President-elect Donald Trump is that he will hold military parades while in office to be a “great cheerleader for the country.” Trump spoke at length about conveying the image of America as a great power, he said he considers it part of his job to show off the military’s prowess, The Washington Post reported. He vowed to “show the people as we build up our military, we’re going to display our military.” “That military may come marching down Pennsylvania Avenue. That military may be flying over New York City and Washington, D.C., for parades. 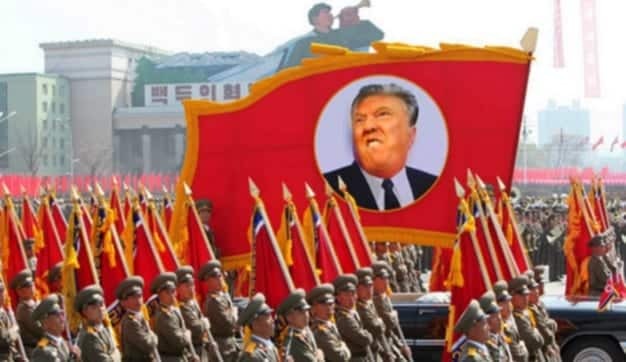 I mean, we’re going to be showing our military,” he said, apparently unaware of the association military parades have with authoritarian regimes. Like most of his other statements, the grandiose plan lacked specifics. It was unclear if the planned military parades would be conducted in tandem with Moscow, where tanks and fighter jets descend on the city each May 9 for Russian President Vladimir Putin’s show of military might. Trump wants to show off our military in parades. But we are not Russia or North Korea. War is a serious, deadly business. Not entertainment. This entry was posted on January 19th 2017 at 8:49am/08:49 and is filed under Elections, Live News Column 2, Politics. You can follow any responses to this entry through the RSS 2.0 feed.